Brothers who set up polio charity hailed by Prime Minister David Cameron – Old Kampala Alumni Scholarship Fund. I remember being at a meeting on the Hindu New Year day. I saw a message from the cabinet office on my phone and I thought oh dear what do they want. Because they had already conducted a one hour interview with me back in May before the elections and I thought it was all over and done with. But then I saw a message from my brother and I thought I better get back to him. Can you please check the email I have checked it all out and it’s legit and they need to speak with you. We want to announce this tomorrow. What do you want to announce? We want to announce points of light award." 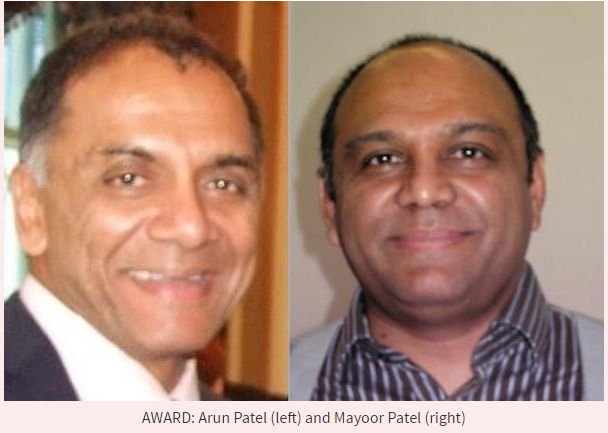 ​"Mayoor Patel and his older brother Arun Patel have been given a Point of Light award to recognise their work with the Polio Children charity."